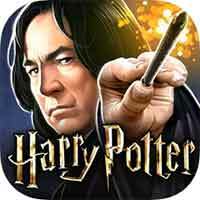 Guide for Year 5 Chapter 23 Harry Potter Hogwarts Mystery Mischief Masterpiece Walkthrough – Peeves is demanding a mischief masterpiece. You’ll need Hogwarts’ best troublemakers to help you plot ultimate chaos. What are you hoping the potion will help you do? Have you come to watch me paint? Bully for you. Why do i have to be here? And why come to ME about inventing spells? What have you heard?